theSpeakEasy.com | Will Apple Finally Prevail In the Office? Will Apple do it? Will the iPod and iPhone accomplish what years of making superior (albeit freaky expensive) home computers couldn’t? 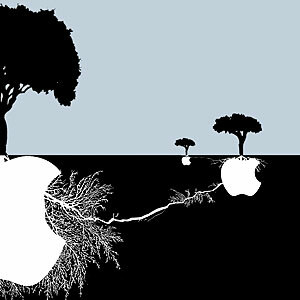 Will the Apple finally be accepted in the corporate America on a large scale? Tagged Apple, Business, iPhone, iPod, Mac, Microsoft. Bookmark the permalink.